Here are some really interesting and unimaginable tasks these aquatic creatures can perform. This will blow your mind for sure! 1. 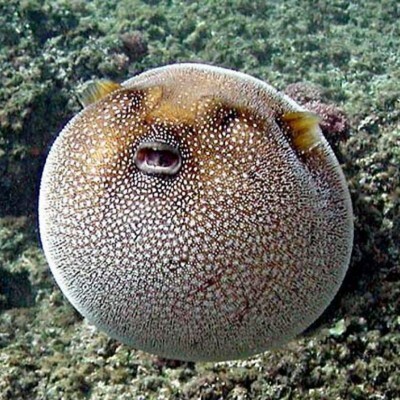 Pufferfish can blow up in size – It is also known as the blowfish because feels it is in danger it can blow itself up to a size of a grapefruit. 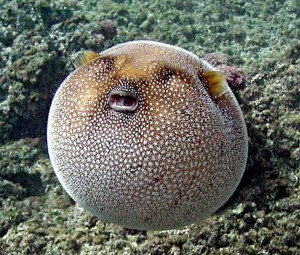 They develope this inflatability because their slow, somewhat clumsy swimming style makes them vulnerable to predators. In lieu of escape, pufferfish use their highly elastic stomachs and the ability to quickly ingest huge amounts of water (and even air when necessary) to turn themselves into a virtually inedible ball several times their normal size. Some species also have spines on their skin to make them even less palatable.